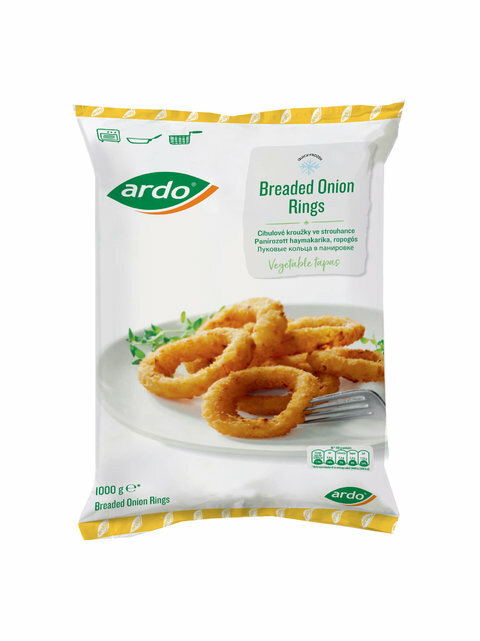 Identically shaped (preformed) rings of chunky onion, coated with breadcrumbs. Very crispy! Fry the onion rings with 3 table spoons of oil for 3-4 min. turning occasionally. 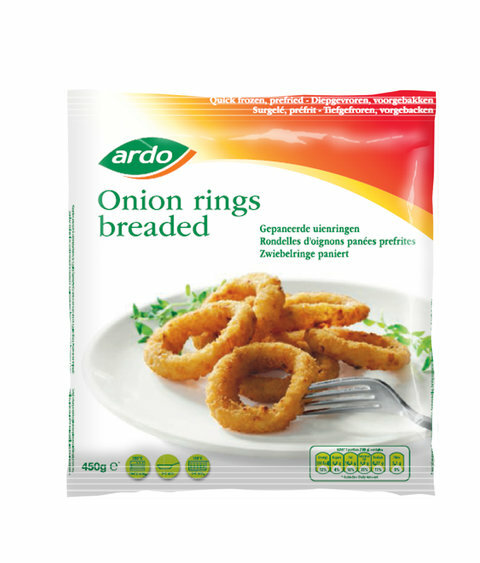 Place the onion rings in a single layer on a bakingsheet. Bake in a preheated oven 200°C for 10-12 min. until golden, turning once.